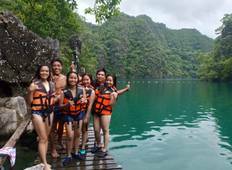 "Best Coron experience with Yuane Tours"
"We had an incredible time on our tour of the Philippines! Everyone went above and..."
"The tour was perfect ♥️ Our tour guide was perfect kuya joy and ryan sorry i..."
"We had the most remarkable family tour with Linapacan Tourist Camp. We took the 5..."
"This trip really has been important for me. Not only my first ever long haul trip,..."
"This was a great itinerary! 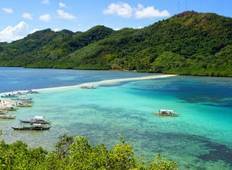 My only regret is that it wasn't longer - Palawan is..."
"I was glad to book with you. I had wonderful guides. They were very passionate, interesting..."
"Very acommodating, would recommend to other travelers"